As you probably know, CD Projekt Red’s hugely successful Witcher games are based on a series of fantasy novels by Polish author Andrzej Sapkowski. How much do you think they paid for the licence? Go on – have a guess before you read any further. Even after buying them from Sapkowski, CD Projekt had to fight tooth-and-nail to keep the rights to the Witcher. Here’s that story. 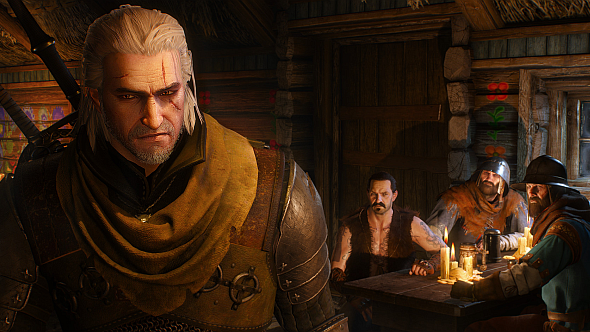 According to Sebastian Zieliński, former head of CD Projekt, they bought the licence for 35,000 Polish Zloty. That’s about $9,500 in today’s money. Zieliński was commenting on a Facebook post by Adrian Chmielarz, CEO of the now-defunct Metropolis Software, who had licensed the Witcher novels before CDPR (though their game was never made). Chmielarz was debunking a tweet by the journalist Marcin Kosman, who’d suggested Metropolis had bought the licence for just $4,000. Zieliński then weighed in to explain that CDPR’s fee still didn’t breach five figures. Though $9,500 is not nothing, it’s probably a lot less than you guessed given Sapkowski’s comments in March, when he dismissed videogames as “stupid” and said he only sold the rights for “a big bag of money”. That bag seems even less big – and his decision to decline CDPR’s offer of royalties even more misguided – when you consider how well the games have done. But hey, Sapkowski is involved in the forthcoming Netflix series, so he’s probably doing fine now. Of course, the success of the games is the reason The Witcher is so well-known in the West, and thus a substantial reason why the series is happening. Thanks to boskee on NeoGAF.